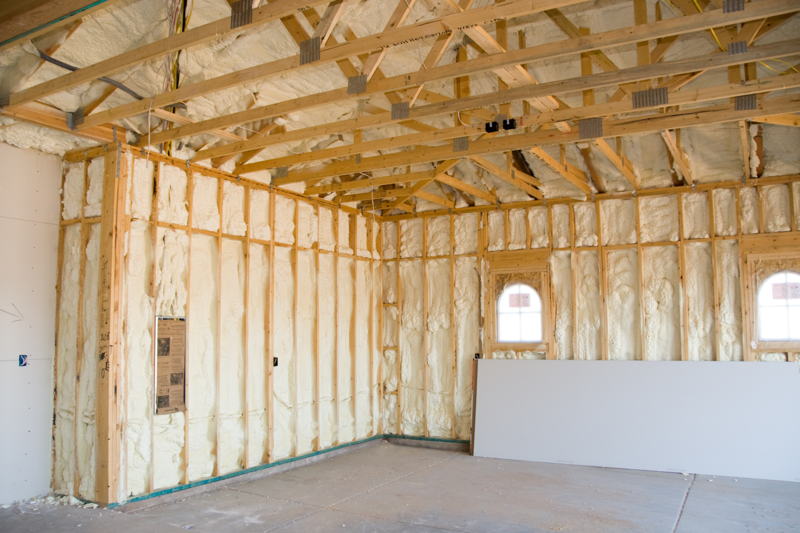 (0.5 lb density, soft foam) spray foam is the ultimate insulation, providing an air barrier as well as an acoustical layer to keep your home quiet! Like all of our spray foam, open-cell foam is sprayed as liquid and then expands 100 times its liquid volume into the foam. While the foam is in the liquid state it gets inside all of your hidden nooks and crannies, sealing off your cavity. (2.0 lb density, hard foam) spray foam is similar to open-cell foam, but provides different benefits than the open-cell foam. Both open-cell and closed-cell provide an air barrier. Both foams will seal the cavity and not let air escape out, or come in from the outside. Closed-cell foam also provides a vapor barrier. 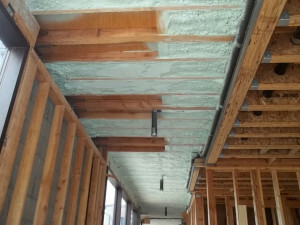 Not only does closed-cell foam provide an air barrier and a vapor barrier, but it adds structural strength to your wall or ceiling cavity. The 2.0 lb density foam works with the nails and screws in your walls and ceiling to pull everything together. Closed-cell Polyurethane foam forms it own moisture barrier. If you come all the way down here, you probably really like our Services. To save you all the troubles finding where to locate them, we have a solution for that too. Just click the button below.